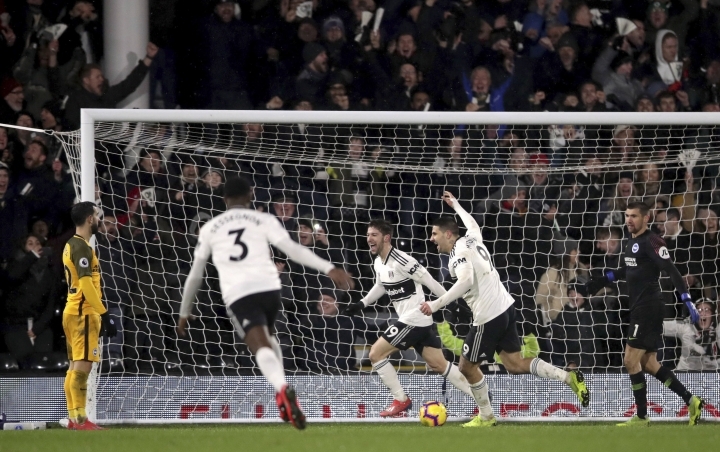 LONDON — Aleksandar Mitrovic scored twice Tuesday as Fulham came from two goals down to beat Brighton 4-2 and boost its chances of avoiding relegation from the Premier League. Fulham was heading for a fifth straight loss after Glenn Murray scored twice inside the first 17 minutes at Craven Cottage. Calum Chambers pulled a goal back two minutes into the second half before two headers from Mitrovic put Fulham in front. Luciano Vietto added the fourth in the 79th minute. 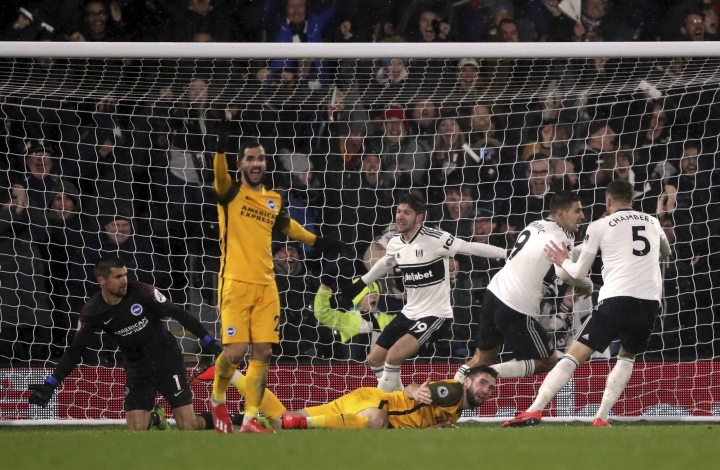 Fulham moved to within five points of safety after only its fourth win of the campaign.